Doing good things for Flathead Valley Businesses! Your business listing in the Flathead Valley Business Directory™ is a whole lot more than just a listing. Visitors need only tap your phone number and their smartphone will call your business. Or, they can tap your email address and send a message, ask a question or visit your website. The Flathead Guide is the official Flathead Valley Business Directory™ (Montana ID# A212832), a digital business listing created and maintained by The Webunet Group in Kalispell, MT. We list local businesses (like yours), major events and Flathead Valley information; find local businesses, shopping, restaurants, lodging, products, services and things to do and see in the Flathead. The Flathead Guide is optimized for smartphones & Tablet PCs, which means that we help target the millions of visitors and residents who now rely on their mobile devices to keep in touch and search for local information. One of the BEST thing you can do to boost your website in search results is to have a listing in the Flathead Guide, which can actually help your primary website rank higher. Spend your promotional dollars where consumers spend most of their time and are most influenced. Today, your customers spend their time on their smartphones! Your listing in the Flathead Guide is like having an additional mobile-friendly, stand-alone website routing traffic and phone calls to your business. 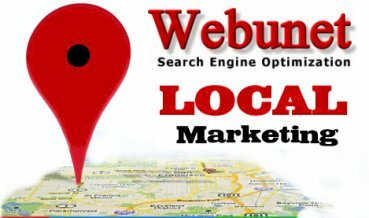 We can help you attract people searching for YOUR business. We are Internet marketing SEO and SEM professionals with two decades of experience. Our clients are businesses you know well in the Flathead Valley. Advertising can be valuable, but it’s shelf-life and effectiveness is limited by the size of your budget. On the other hand, your listing in the Flathead Guide works for you 24 x 7 x 365 and costs pennies per day. There is NO greater marketing value! Get all the details here. You do business in the Flathead and we can help you reach more customers in Kalispell, Whitefish, Bigfork, Columbia Falls, Lakeside, Somers, Kila, Eureka and Polson. List your business today!